We always apply best practice, specialising in progressing high profile, sensitive applications through the authorisation process and their operational management. Our expert team provides a variety of bespoke services to meet the demands of any development. Whether your project is at the early stages of inception, progressing through the authorisation process, or is in construction and operation, our range of in-house services is designed to meet your needs. 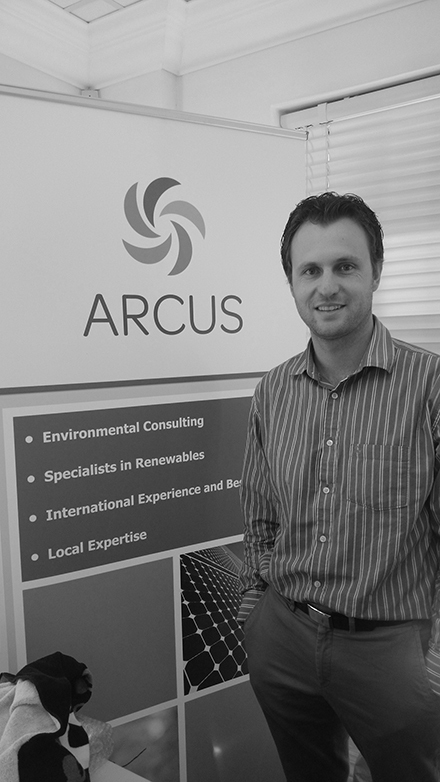 Ashlin Bodasing is the Technical Director at Arcus Consulting, located in Cape Town. Having obtained her Bachelor of Social Science Degree from the University of Kwa-Zulu Natal. She has over eleven years’ experience in the environmental consulting industry in southern Africa through which she has gained extensive experience in the field of Integrated Environmental Management. She has also been actively involved in a number of industrial and service infrastructural, mining, residential projects as well as renewable energy facilities, both wind and solar. 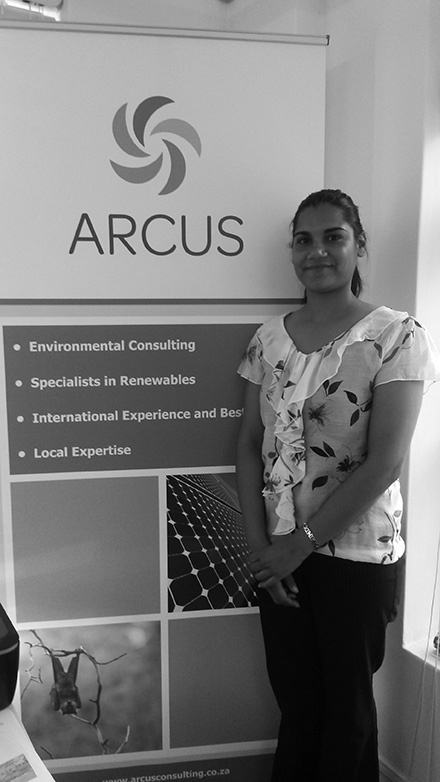 Ashlin has major project experience in the development of Environmental Impact Assessments, Environmental Management Plans and the monitoring of construction activities. Her areas of expertise include project management, environmental scoping and impact assessments, environmental management plans, environmental compliance monitoring and environmental feasibility studies. Experience also includes International Finance Corporation Performance Standards and World Bank Environmental Guidelines environmental reviews. Andrew Pearson has been at the forefront of avifauna surveying in South Africa for the past seven years, including through his previous employment at the Endangered Wildlife Trust (EWT). He is an elected member of the Birds and Renewable Energy Specialist Group (BARESG), responsible for the compilation and updating of various bird monitoring guideline documents. Andrew has a strong background in conservation having worked in the field across the country. He is also registered with the South African Council for Natural Scientific Professions (SACNASP). Furthermore, he has assisted clients in energy generation and transmission, mining and civil engineering projects. He has also been the Environmental Control Officer of construction site projects and developed ISO14001 management systems, as well as working as an avifauna specialist. 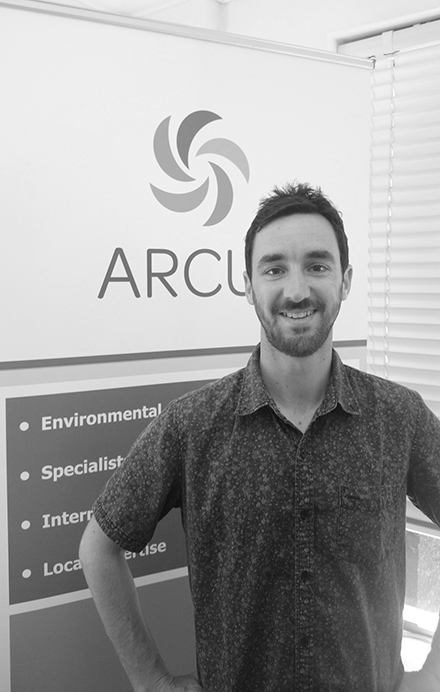 Andrew has worked on over 26 Wind Energy and 10 Solar Energy Projects in South Africa, and currently designs and manages numerous avifaunal monitoring projects during both the pre-construction (and impact assessment) and operational phases. Jonathan is an Ecologist and GIS Specialist. He has a Master’s degree in Zoology from the University of Cape Town. Research and extensive field surveys on insects, baboons, freshwater systems, savannah ecology, birds and bats have all contributed to Jonathan’s experience as an ecologist. He has eight years of experience working with bats and he has been at the forefront of bats and wind energy research in South Africa, working on more than 20 wind energy projects in South Africa and Kenya. He has contributed to the Good Practise Guidelines for Surveying Bats at Wind Energy Facilities in South Africa, is the lead author on the operational monitoring guidelines for bats at wind energy facilities and is a member of the South African Bat Assessment Advisory Panel. He is registered as a Professional Natural Scientist (Ecological Science) with the South African Council for Natural Scientific Professions. Anja has been conducting avifaunal surveys since 2004 and has worked on over 26 proposed renewable energy facilities since 2012. She brings extensive practical experience in bird monitoring to the team and has strong skills in data modelling and reporting. 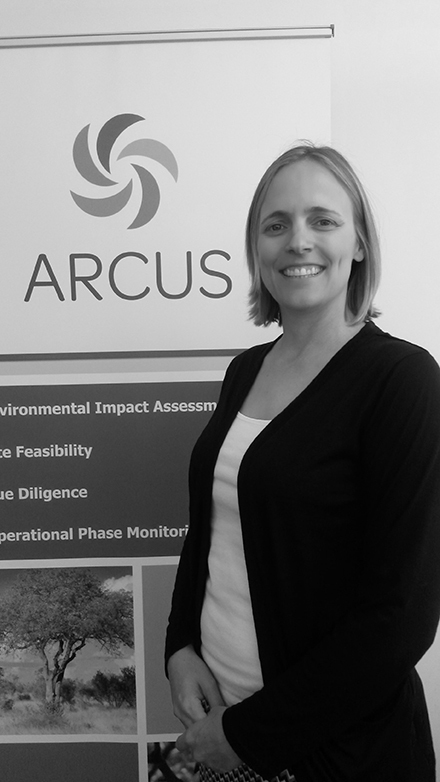 Besides conducting avifaunal impact assessments Anja is also involved as an EAP in all aspects of environmental impact assessments and functions as Arcus’ GIS specialist in Cape Town. Anja holds a Master of Science in Ornithology from the Percy FitzPatrick Institute of African Ornithology at the University of Cape Town and is registered with SACNASP as a Professional Natural Scientist in the field of Ecological Science.